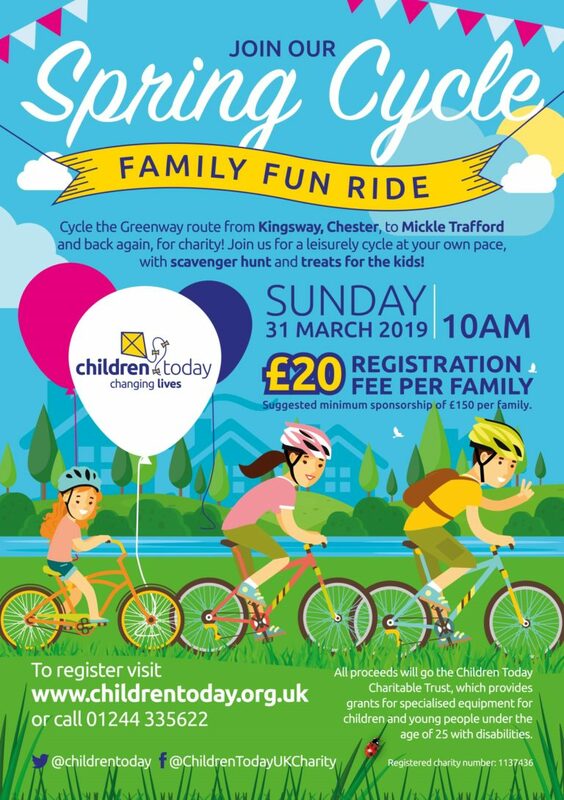 Cycle the Greenway route from Kingsway, Chester, to Mickle Trafford for Children Today and raise funds for Children Today to help us continue supporting children and young people with disabilities. Join us for something different this Mother’s Day for a fun family day out on our leisurely 3K cycle. You can go at your own pace, enjoy the scenery and take part in our scavenger hunt along the way. There’ll be a coffee stop at Mickle Trafford and treats for the kids, before heading back to Chester! All ages and abilities welcome. £20 registration fee per family. Suggested minimum sponsorship of £150 per family.